Interested in saving up to 40% on a Disney Vacation Club Resort stay at Aulani, A Disney Resort & Spa in Ko Olina, Hawaii? 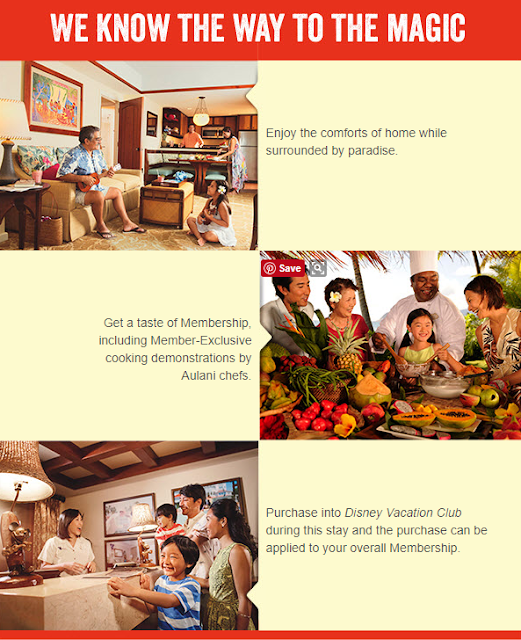 Read more below for a special offer I received from the Disney Vacation Club. Note that this offer is targeted, but you could try your luck and see if you qualify for it. This is the first time I've ever seen a reduced rate stay at a Disney Vacation Club resort and when I called to learn more details about the offer, the agent also mentioned it was the first time Disney has ever offered any kind of promotion like this, so this is a pretty good deal! You can book a 5-night stay in a 1-Bedroom Villa at Aulani, Disney Vacation Club Villas, Ko Olina, Hawaii for just $2,500 when you meet with a Disney Vacation Club Guide during your stay to learn about becoming a Member. You'll also get to enjoy access to select Disney Vacation Club Member benefits during your stay, including the exclusive cooking demonstrations by Aulani chefs or Maka'ika'i: Art & Nature Walking Tour. Plus, if you purchase into Disney Vacation Club during this stay, the purchase price of this offer can be applied to your overall Membership. The retail value of this stay is $3,925 to $4,435 depending on travel dates selected, so that's how they calculate the potential savings of up to 40%! So How Did I Get Targeted for this Offer? 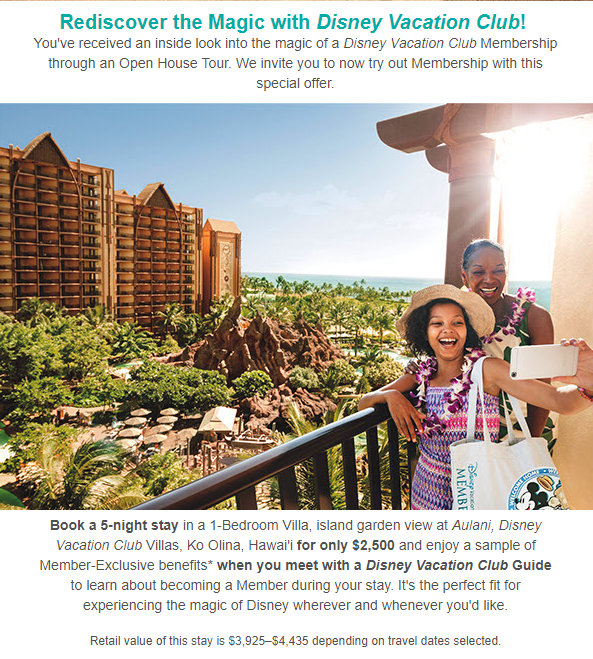 I received an email for this offer and was targeted since I had previously attended an Open House Tour for the Disney Vacation Club during a trip to Disneyland. Since I had attended a previous tour, I am now being invited to experience membership first hand with this special first of its kind offer. Based on potential dates I had selected in December 2017 to take advantage of this offer, the room rate for a 1 bedroom villa, island garden view, was pricing at $3,355, taking into account a current promotion called "Mahalo Season", where you can save up to 30% when you stay 5 nights or more, so the timeshare offer I received for $2,500 is a nice savings of $855 off of the room rate. 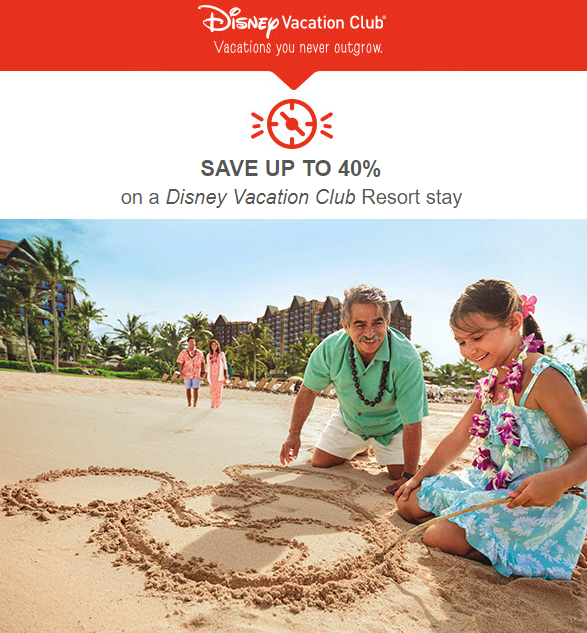 I haven't decided if I'm going to take advantage of this timeshare presentation offer quite yet, but nonetheless this is a great offer and I hope to see similar emails from Disney Vacation Club again in the future! If you're planning a trip to Aulani, a Disney Resort and Spa, on Hawaii and aren't targeted for above mentioned offer, feel free to contact me to help price out a vacation package for you! Learn more about travel services I offer here.